the pressure behind the wave decreases. Where tidal waves meet mountains, this can result in tidal bore up ravines. Where tidal waves flow inland, this results in a flood tide going hundreds of miles inland. Where the tidal wave finds foot hills or barriers, the force of the wave is broken such that it is slowed, allowing a reduction in pressure behind the wave to arrive before the wave moves far inland. But where the tidal wave finds virtually no barriers, due to the land being flat, it becomes water on the move, and this very momentum carries it far inland, and above a height that would otherwise be expected. Water on the move does more than just push forward, it also creates a void behind it. At first, this water is on the move because there is pressure behind it, like sloshing water in the Gulf. But then, the force of this moving water takes on a life of its own. It has momentum, and moving forward, creates a void behind it, thus drawing the water in the direction of motion, thus continuing the motion. This water on the move is greater than the resistance in front of it, so it continues. For Texas, this means that the water will lap at the foothills of the Rockies, before dying back. Texas will be devastated by waters sloshing in from the Gulf during the pole shift as well as the rising waters that occur within in the first two years after the pole shift. Being flat land, and low, the Gulf will roll over Texas without opposition, at a height of several feet. This water must go someplace, and will take the path of least resistance. 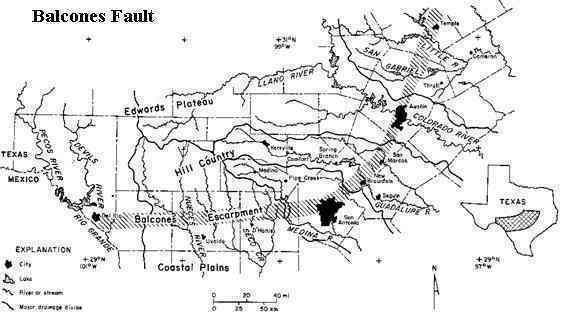 If the water is flowing most rapidly as it moves over the flat land, then water that would normally move toward mountains or natural barriers will be diverted to a faster moving flow area - the Texas plains. Thus Texas, due to its flat terrain, will get more water overall than neighboring areas. Even the high plains will have several feet of water moving across it, where the coastal areas will have tidal waves hundreds of feet high. With few tall trees and faced with the after effects of hurricane force winds and earthquakes that will flatten all but new steel skyscrapers, desperate survivors will have few places to go to escape the moving sheet of water, which will drag whatever it engulfs back out into the Gulf on its return. The devastation to Texas has, until this moment, come in bits and pieces of ZetaTalk. We early made the statement that the water will roll across Texas even to "lap at the foothills of the Rockies". Our statement was also that Dallas would be flooded for weeks, and the UFO warnings about Stephenville getting the drowning from Dallas crawling up on their shore reiterated that. Our statements on the degree to which Texas will be flooded have been ridiculed, but have consistency. Maps of the area showing where a water height of 875 feet show our predictions as possible at this height. 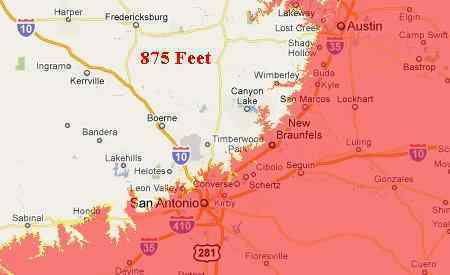 Why would we not merely warn Texans that the tidal wave along their shores was going to be 875 feet? In our experience, it is better to move to the next level, explaining what this means to man, who else does not engage the reality of the message. To state what cities will be flooded and how far the water will push gets their attention, where a mere number does not. Why will Texas suffer in this regard when the rest of the world is to receive sloshing of 500-600 feet along their coasts during the hour of the pole shift? The S American Plate will crush the Caribbean during the hour of the shift, moving through this small plate to collide with the N American Plate, in essence. Where does the water in the Gulf go during this process? Of course it will pushes over Florida and along the Gulf states, who are anticipating the sloshing and 150 foot drop in elevation for Florida and the southeastern US to require them to be in the Appalachian mountains or foothills for safety. But Texas, as we have stated, is flat land, and offers no resistance to a wall of water on the move. Water will funnel there, finding resistance elsewhere. 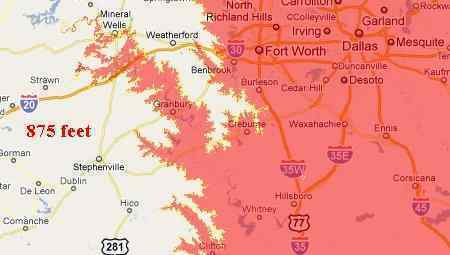 The Balcones Escarpment which swaths across Texas in a curve is the point where the wave will break. Here the cities of Austin and San Antonio will find themselves flooded but not at a great depth. The force of water will push beyond the escarpment where ravines allow the press of water to move forward, rushing over the high plains in places. Note New Madrid Rifts commentary.